of honest judgment on the basis of the conditions prevailing at the time. measure against an attack by superior forces. being true, the defendant may have erred in the exercise of his judgment but he was guilty of no criminal act. We find the defendant not guilty on this portion of the charge. 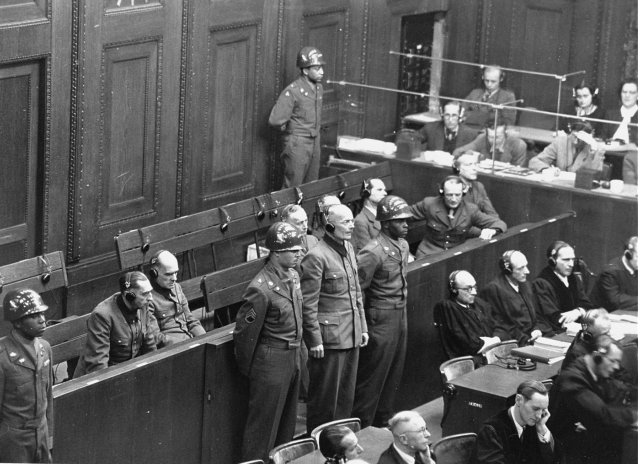 Defendant General Lothar Rendulic is sentenced to twenty years in prison by the Military Tribunal V during the Hostage Case, 19th February 1948 (USHMM, http://collections.ushmm.org/search/catalog/pa1058584). This basically says that we as judges cannot place ourselves in the shoes of the defendant and the context he faced at the time and the judgement he made of this. From this we believe Rendulic 'could honestly conclude that urgent military necessity warranted' the wholescale destruction of Finnmark. In this Rendulic may have been wrong but in so doing he did not commit a criminal act. (From Nuremberg Judgement transcript at http://werle.rewi.hu-berlin.de/Hostage%20Case090901mit%20deckblatt.pdf pp.1234-5 - first clause of each charge only). 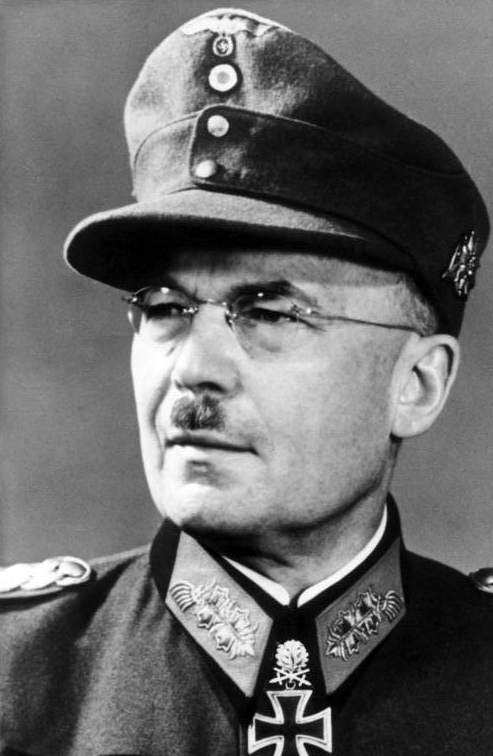 Generaloberst Lothar Rendulic, Commander of the 20th Mountain Army accused and acquitted of Nordlicht Campaign war crimes but convicted of other war crimes in Yugoslavia, Greece and Alabania (Bundesarchiv, Bild 146-1995-027-32A, 1945). The trial began on 17th July 1947 and ended on 19th February 1948 (7 months duration). There were 12 defendants - one of whom committed suicide before the arraingment and one who was declared unfit to continue. The specifically Finnmark 'wanton destruction' charges only applied to Rendulic. Questions have been raised over Rendulic's sentence. It is difficult to explain why Rendulic was sentenced to 20 years instead of to life. He was higher-ranking than Kuntze and was, like List, convicted of both distributing illegal orders and failing to prevent illegal executions.29 The Hostage tribunal also did not find any mitigating factors for Rendulic, in contrast to List and Kuntze. The only reasonable inference is that the Tribunal did not feel a life sentence for Rendulic was warranted given that he was responsible for a much smaller area of occupied territory and fewer soldiers than either List or Kuntze. (Heller, K., (2011) The Nuremberg Military Tribunals and the Origins of International Criminal Law, OUP, pp. 298 online). Rendulic's sentence was reduced in 1949 to 10 years and and on 1 February 1951 Rendulic was released from the military prison in Landsberg am Lech in Bavaria (Wikipedia: Rendulic). This recution and early release appears to have nothing to do with Rendulic's character but to 'the complete collapse of the U.S.‘s commitment to the NMT [Nuremberg Military Tribunals] trials' (see below). [The] ... 'private policy' led to what can only be described as the complete collapse of the U.S.‘s commitment to the NMT [Nuremberg Military Tribunals] trials. When those trials drew to a close in April 1949, many of the 142 convicted defendants were facing execution or significant prison sentences: 24 had been sentenced to death; 20 had been sentenced to life; and 18 had been sentenced to more than 20 years. A mere six years later, however, only 12 of the 25 death sentences had been carried out and only seven of the prisoners serving sentences of 20+ years remained in prison. Indeed, the last NMT defendant would walk out of Landsberg Prison a free man in 1958 (Heller, The Nuremberg Military Tribunals p. 311). In the conclusion to his book Heller says that the post-trial phase of the NMT programme in which retributive justice demands that those found guilty as well as standing trial and being convicted 'must also actually serve their sentences' was 'a complete failure'. (Heller, The Nuremberg Military Tribunals p. 374). This was due to a changed political context where U.S. war-crimes officials needed 'to release the convicted defendants was driven by the politics of the Cold War, not by legal considerations' (ibid p. 374). The NMTs were hugely successful in some regards - in particular the documentation of the Nazi Regime and its crimes in meticulous details (130,000 pages of evidence) and the development of international law. But the scorecard was much more mixed when it came to the education of a reluctant German public about crimes committed in its name. This task was made much harder by the early release of war-crimes prisoners with no legal justification. Interestingly, the day after the trail, the presiding judge of Tribunal V (which had heard the case), Judge Wennerstrum, a justice of the Iowa Supreme Court, condemned the Hostages trial as 'victor's justice' and accused the prosecution of failing ' to maintain objectivity aloof from vindictiveness, [and] aloof from personal ambitions for convictions'.This Nuremberg trial was 'held before an exclusively U.S. Military Court'. This was picked up by major US newspapers and was one of the greater controversies of the Nuremberg trials (see Heller, K., (2011) The Nuremberg Military Tribunals and the Origins of International Criminal Law, OUP, pp. 97-8 online). 'The trials were to have convinced the Germans of the guilt of their leaders. They convinced the Germans merely that they lost the war to tough conquerors.' (NYTimes Obituary: Wennerstrum). More detail on Wennerstrum's views of the trial suggest a more modulated judgement. 'Although Wennerstrum made it clear that he believed that the defendants had received just punishment, that there was adequate international law upon which to base the judgments, and that the war crimes trials should continue in spite of their shortcomings, he also made some rather negative statements about his war crimes trial experiences. His main concern was that "the victor is never an unbiased judge of war crime guilt. A neutral, third party should have held the trials" [rather than a U.S. Military Court] (The Biographical Dictionary of Iowa). "Instead of making any constructive moves while you were here, you have chosen to give out a baseless, malicious attack during the last hours of your eight months stay and then leave town rather than confront those whom you have so outrageously slandered. I would use stronger language if it did not appear that your behavior arises out a warped, psychopathic mental attitude. " (The Biographical Dictionary of Iowa). Finnmark is the only county of a NATO member that has a border with Russia. Its proximity to areas of sensitive Russian military activity (nuclear-armed subs and atomic test areas) has made it a key Cold and post-Cold War location. Controversy has raged over the siting of the sophisticated Globus II radar at Vardø - (see this interesting Wall Street Journal article from 2000).